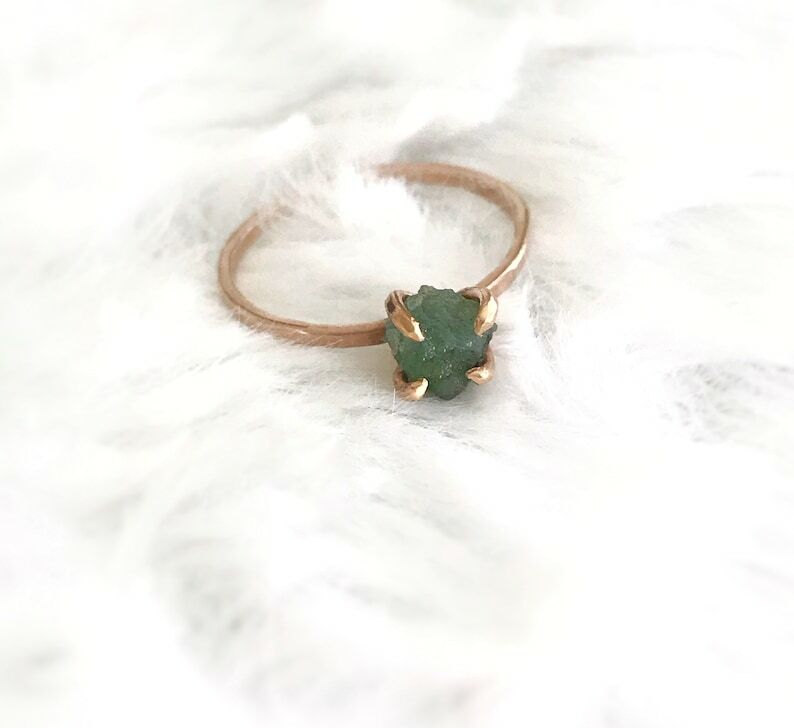 Delicate Emerald Ring with raw stone is the focus on this handmade 14K yellow gold filled ring is a dainty ring. The raw stone handmade cut is unique ring, exactly the way it was created by nature. This raw gems is set in a 14K yellow gold filled handmade claw setting to reveal the maximum amount of this unique stone. All items are made to order. Please check the our policies page, our time to works 1-2 weeks in business days or for the update production and delivery times please check the top on the announcement page. If you need it sooner, please send us a message on Etsy. I love my ring! It's unique and beautiful. The emerald is a lovely pale green color, and mine was more rectangular than the photo, but is roughly the same size. The ring took a little over three weeks to arrive from the time I ordered it. Everything met my expectations! Will definitely buy again.